Romania reached their first Fed Cup World Group semi-final with a thrilling 3-2 win over defending champions and hosts the Czech Republic in Ostrava. With the tie level at 1-1 after day one, Simona Halep got the better of fellow former world number one Karolina Pliskova to put Romania 2-1 up. Katerina Siniakova then beat Mihaela Buzarnescu to set up the decider. And Irina-Camelia Begu and Monica Niculescu defeated Siniakova and Barbora Krejcikova to seal victory. The Romanian pair recovered from losing the opening set to win 6-7 (2-7) 6-4 6-4 in a match that lasted just under three hours. French Open champion Halep, who has vowed to win a first Fed Cup for her nation before she retires, had dug deep to defeat Pliskova 6-4 5-7 6-4 before Siniakova ran out a comfortable 6-4 6-2 winner over Buzarnescu. Siniakova and Krejcikova, the Wimbledon champions and the top two players in the doubles rankings, were looking to give the Czech Republic a 12th consecutive home win in the competition, which they have won six times since 2011. They looked on track when they took the opening set but Begu and Niculescu broke early in the second set and went on to level the match. A nervy third set saw three breaks of serve in a row at the start leaving the Romanian pair 3-1 up. Siniakova and Krejcikova broke back to make it 4-4 and the momentum seemed to be with them before Begu and Niculescu held their nerve for a famous win. Also through to the semi-finals are France and Belarus. France led 2-0 after Saturday’s play and Caroline Garcia, back in the French squad for the first time in two years after a falling-out with team-mates, sealed the win thanks to a 6-2 6-3 success over Elise Mertens, before Belgium got a point on the board thanks to a win in the doubles for Ysaline Bonaventure and Kirsten Flipkens, who beat Pauline Parmentier and Fiona Ferro 10-6 in a third-set tie-break. Aryna Sabalenka and Aliaksandra Sasnovich guided Belarus to a 4-0 victory over Germany. The pair both won on day one while Sabalenka made sure of a semi-final spot with a comfortable 6-1 6-1 success over Laura Siegemund. Victoria Azarenka and Lidziya Marozava completed the rout by defeating Mona Barthel and Anna-Lena Groenefeld in their doubles match. Jo-Wilfried Tsonga won his first ATP title since 2017, beating fellow Frenchman Pierre-Hugues Herbert 6-4 6-2 to win the Open Sud de France in Montpellier. Herbert, the seventh seed, was aiming for his first ATP singles title, but Tsonga only dropped four points on his serve. The 33-year-old was only in Montpellier courtesy of a wildcard. His last victory was in Antwerp in October 2017. Elsewhere, Britain’s Cameron Norrie lost to Brazilian Rogerio Dutra da Silva in the final qualifying round for the Argentina Open in Buenos Aires. Having won the first set 7-6 (8-6), Norrie lost a second set tie-break 7-3 before Da Silva won the final set 6-2. In the Sofia Open final, third seed Daniil Medvedev of Russia beat Hungarian Marton Fucsovics 6-4 6-3. Former World No. 1 Andy Roddick has plenty of fond memories in New York. He is the last American man to win a Grand Slam, capturing the title at the 2003 US Open in Flushing Meadows. So visiting the New York Open for an exhibition ahead of its second edition, Roddick was happy to see an ATP Tour event in this area. It’s not just that the event is in New York. Roddick says that early in the year, it’s important for players to get matches under their belt to build up their form. 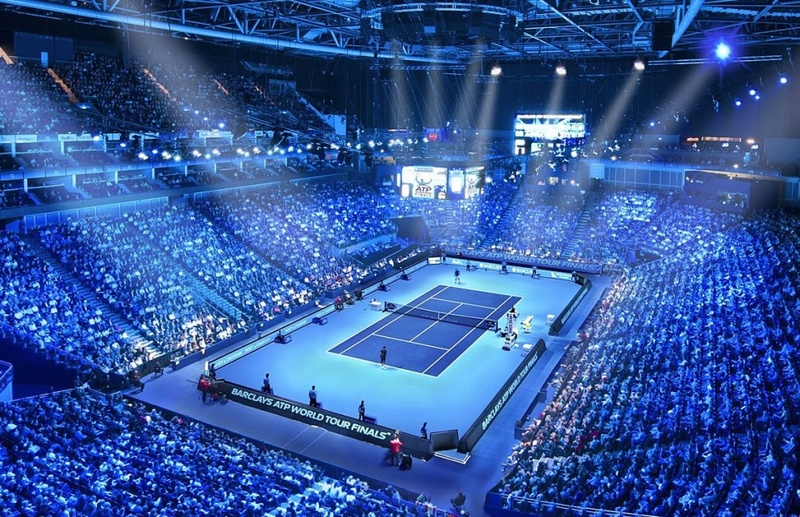 Last season, Kevin Anderson won his first title in two-and-a-half years here to launch his personal-best season, qualifying for the Nitto ATP Finals in London. A player competing on Long Island who has already gained momentum early in the year is #NextGenATP American Frances Tiafoe. 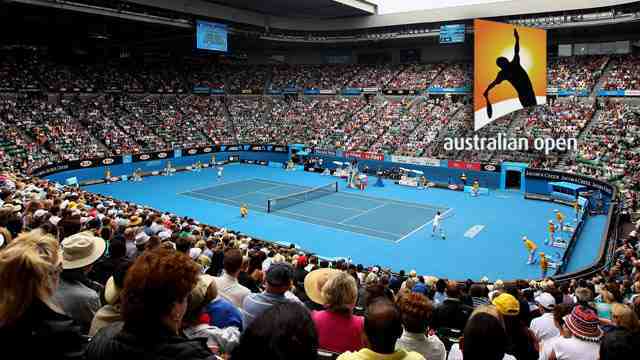 The wild card advanced to the quarter-finals of the Australian Open, his first trip to the last eight of a major. This time last year, he had never made the quarter-finals of an ATP Tour event before doing so at the inaugural New York Open. The top seed at this ATP 250 event is John Isner, who broke through in 2018 by winning his maiden ATP Masters 1000 title in Miami, qualifying for the Nitto ATP Finals for the first time and finishing inside the year-end Top 10 of the ATP Rankings for the first time at 33 years old. 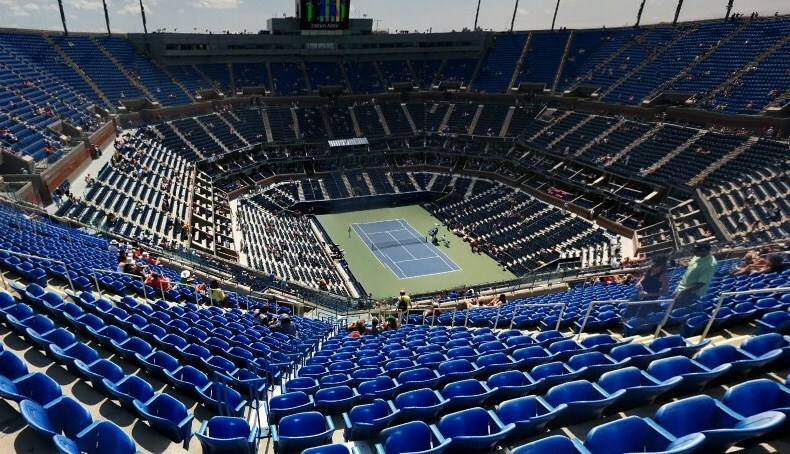 The New York Open was relocated from Memphis last year. Roddick triumphed in Memphis three times (2004-05, 2008). Jo-Wilfried Tsonga captured his first ATP Tour title in more than 15 months on Sunday, beating countryman Pierre-Hugues Herbert 6-4, 6-2 at the Open Sud de France. The 33-year-old, who last lifted a trophy in Antwerp (d. Schwartzman) in October 2017, dropped just four points behind his first serve (27/31) to triumph in 73 minutes. Tsonga missed seven months of the 2018 ATP Tour season following his semi-final retirement in Montpellier last year, ungergoing left knee surgery in April. Ranked No. 210 in the ATP Rankings, Tsonga is the lowest-ranked ATP Tour titlist since Pablo Andujar lifted the Grand Prix Hassan II trophy in Marrakech 10 months ago. Tsonga improves to 17-12 in tour-level championship matches and extends his unbeaten FedEx ATP Head2Head record against Herbert to three matches. In the second straight all-French final in Montpellier, Tsonga becomes the seventh French winner in the tournament’s nine-year history. The 17-time tour-level titlist joins countrymen Gael Monfils (2010, ’14), Richard Gasquet (2013, ’15-’16) and Lucas Pouille (2018) on the list of home champions. In a tight opening set, Tsonga earned the only two break points at 4-4. Herbert stuck to his gameplan, serving and volleying to deny Tsonga on his first opportunity. But Tsonga read the play on his second break point, guiding a forehand return winner up the line to earn the break. After serving out the first set to love after 37 minutes, Tsonga began to find his range on his return. Herbert’s continued attack proved no match for Tsonga, who drilled backhand returns at his opponent’s laces to earn two breaks of serve. Serving at 5-2, the wild card once again held serve to love, overpowering Herbert to claim victory. Seventh-seeded Herbert, competing in his third ATP Tour singles final, was aiming to lift his first singles trophy. The Frenchman also finished as runner-up at Winston-Salem (l. to Anderson) in 2015 and Shenzhen (l. to Nishioka) last year. Tsonga receives 250 ATP Ranking points and collects €90,390 in prize money for lifting the trophy. Herbert gains 150 ATP Ranking points and receives €48,870. Juan Ignacio Londero was born in Jesus Maria, Argentina, just 50 kilometres from Cordoba, the home of this week’s Cordoba Open. So it was convenient for the 25-year-old wild card to have friends and family come cheer for him on Tuesday as he tried to earn his first tour-level victory against fifth seed Nicolas Jarry. Little did the Argentine know what the week would bring. The World No. 112, previously 0-3 on the ATP Tour, is into the final of the ATP 250 event, dominating two-time tour-level ATP Tour champion Federico Delbonis on Saturday in one hour to reach his maiden championship match. Before the tournament, Londero owned just two triumphs against Top 100 opposition. He has doubled that number this week, advancing to the final without dropping set. Londero has acquitted himself well, getting broken just once in the tournament. The 5’11” right-hander has saved 16 of the 17 break points he has faced. His dream run conjures memories of similar efforts in the past by players who had not won a tour-level match before battling to a final. Belgian Steve Darcis was 0-2 entering Amersfoort in 2007 when he qualified and lifted the trophy. Santiago Ventura had never played a tour-level match when he qualified for Casablanca in 2004 and then captured the crown. Former World No. 6 Nicolas Lapentti owned five tour-level wins when he competed in his first ATP Tour event as a qualifier in Bogota 24 years ago, winning his first title. For now, Londero is numb, trying to live in the moment. While it’s been a week to remember in front of his home crowd, he has one more match to go against compatriot Guido Pella. Pella has won all three of their professional clashes, although none have come at tour-level. If Londero emerges victorious, he will crack the Top 75 of the ATP Rankings on Monday. Johanna Konta battled through fatigue to send Great Britain into April’s Fed Cup promotion play-offs, with her win over Aleksandra Krunic sealing a 2-0 victory over Serbia. Konta, seen lying on the floor in the gangway before the start of the third set, needed to be helped to her feet at the end of her 7-6 (7-1) 3-6 6-2 win. Her team-mate Katie Boulter had earlier dismissed Ivana Jorovic 6-4 6-3. GB are one win away from reaching World Group II for the first time since 1993. Victory completed a perfect four days for GB in their first Fed Cup matches on home soil for 26 years, as they won all four of their ties in Bath without losing a single rubber. A determined Konta showed terrific spirit to find enough energy to win her third three-set battle in as many days, having been on court until after 23:00 GMT on Friday. GB captain Anne Keothavong told BT Sport: “The guts, the courage by Jo and Katie today… Physically, if I could tell you what’s going on behind the scenes. Great Britain will now play in April’s play-offs for a third successive year as they seek to reach the second tier of women’s team tennis. Following a relatively slow start, Konta fought back from a break down early on and then raced in to a 6-0 lead in the first-set tie-break before Krunic went long with a backhand on the Briton’s second set point. But a determined Krunic looked fresher and sealed the second set when Konta netted a backhand after a strong defensive recovery from the Serb at set point. However, after a comfort break – during which an exhausted Konta was seen on the floor – the British number one steadied herself remarkably to move a break up to 3-1 in the third set. And she broke again in the final game to take the set 6-2, emotionally sinking to the floor after sealing it with her second match point. Her watching parents were visibly upset and her mum Gabriella rushed down to the court to give her daughter a hug. “I’m feeling pretty rubbish but it’s OK,” Konta said. Her victory prompted wild scenes in Bath, with the enthralled home crowd saluting Konta, Boulter and doubles players Harriet Dart and Katie Swan for winning all of their matches against Slovenia, Greece, Hungary and Serbia over a gripping four-day event. Boulter, 22, took the responsibility of leading out the hosts in her stride. She took charge of all four of her opening sets and went on to deliver four valuable wins, unfazed by a growing gaze of media spotlight. In the process, she ever so slightly eased the pressure on Konta. Leicester-born Boulter, who battled through a thriller against Hungary’s Dalma Galfi to win in a third-set tie-break on Friday, needed no such drama to overcome Jorovic on Saturday, coming through in one hour 28 minutes. Jorovic, ranked 34 places lower than world number 83 Boulter, was the more error-prone and the Briton took advantage to win six of her 11 break points, to the delight of another sold-out crowd at the University of Bath. “I came in to this week not knowing what to expect,” said Boulter, who before this week had only played two Fed Cup doubles matches. “To come out with four wins is probably better than I imagined. “I wasn’t going in to this week thinking ‘I’m going to win four matches’. I was just putting my heart on the line and doing the best that I can, and then seeing what comes of it. “Playing for your country is a little different to just playing for yourself. You’re trying to make people proud. Will Britain finally return to the World Group? Britain have played outside the Fed Cup’s top two tiers since 1993, but still need to win another fixture to go up to World Group II. At this third-tier, Europe/Africa zone Group I event in Bath, there were initially eight teams – split into two groups – taking part, with only GB progressing, having now eliminated Group B winners Serbia. The hosts – who were without the experienced Heather Watson, who has been ill throughout the week – will now await Tuesday’s draw for the play-offs, which will be played on 20-21 April. “Here’s to hoping for a home tie in April,” said Konta. Among the seven teams Great Britain could face in the play-offs are Russia, who won the other Europe/Africa zone Group 1 event taking place this week in Poland. Brazil and Kazakhstan are also in the hat, while the other four teams will be determined on Sunday depending on results in World Group II. Not for the first time, Johanna Konta’s resilience shone through. She appeared on the verge of retirement, and though underpowered on serve, composed a remarkable and clinical final set. The British number one reported feeling light headed and shaky at the end of the second set, and likened it to a bit of an “out-of-body” experience. Whatever the cause, she handled the situation with enormous courage. Katie Boulter also had a magnificent week – leading from the front as she made her debut in Fed Cup singles. Saturday’s performance especially was full of heart. Boulter played four three set matches in St Petersburg last week, and after a couple of long matches in Bath, her fuel gauge was heading towards empty. Boulter has made enormous strides over the past eight months, and happily seems to thrive on the pressure and expectations of team competition. It was an excellent week, all round. 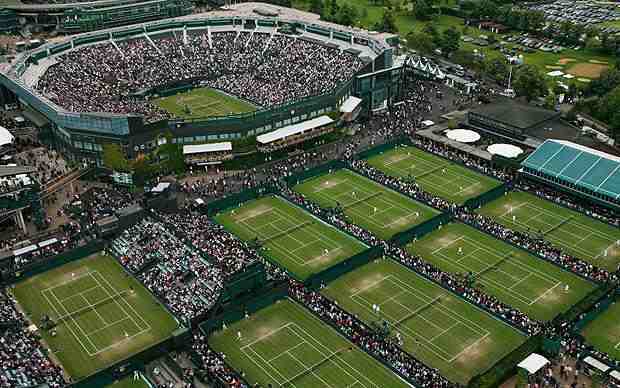 Nearly 16,000 people bought tickets – a huge endorsement of the LTA’s decision to bid to host the event after 26 years of away ties. It would almost be a shame if Britain is not in a position to hold the event again next February, although that long-awaited return to the elite level of the Fed Cup would be ample compensation. Konta’s defiant win and an earlier 6-4 6-3 victory for an on-form Katie Boulter over Ivana Jorovic clinched Saturday’s tie for Britain in Bath, sending them through to their third consecutive World Group II play-off. The dream run continues for Juan Ignacio Londero. The Argentine, who arrived at the Cordoba Open without a tour-level win, is into his maiden ATP Tour final. Londero on Saturday defeated compatriot Federico Delbonis 6-1, 6-0 in exactly one hour for the biggest victory of his career. 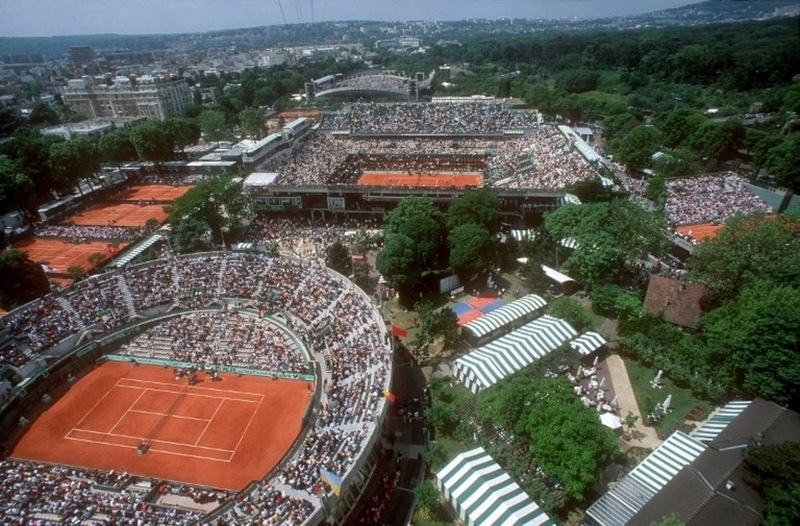 The wild card will on Sunday face fellow Argentine Guido Pella or Uruguayan Pablo Cuevas for the title. Londero had won just one of his seven sets in his three previous tour-level matches before this week. But the 25-year-old has triumphed in all four of his Cordoba matches without losing a set. Londero has saved 16 of the 17 break points he has faced on the Argentine red clay. Against Delbonis, Londero did not face break point. The World No. 112, who will crack the Top 100 for the first time on Monday, won 58 per cent of his return points. Pella has won all three of his matches against Londero, none of which came at tour-level. Cuevas and Londero have never played one another. Londero captured his first two ATP Challenger Tour trophies last season, emerging victorious in Mexico City in April and Marburg in July. Former world number ones Karolina Pliskova and Simona Halep won their opening matches in the Fed Cup World Group to leave holders the Czech Republic and Romania tied at 1-1. Czech world number five Pliskova beat Mihaela Buzarnescu 6-1 6-4 before Romanian Halep defeated Katerina Siniakova 6-4 6-0. Pliskova and world number three Halep meet in the reverse singles on Sunday. The Czech Republic are seeking an 11th successive appearance in the last four. Elsewhere in the other best-of-five top-tier ties, two-time champions France took a 2-0 lead over Belgium following wins for world number 19 Caroline Garcia and Alize Cornet, ranked 51. Garcia, returning to the French squad for the first time since a public falling-out with her team-mates in 2016, beat Belgium number two Alison van Uytvanck 7-6 (7-2) 4-6 6-2. Cornet saw off Belgian world number 21 Elise Mertens 7-6 (8-6) 6-2 following an 82-minute opening set to pick up her first Fed Cup victory for five years. Straight-set victories for Aliaksandra Sasnovich and Aryna Sabalenka gave 2017 runners-up Belarus a 2-0 lead over Germany. Sasnovich defeated Tatjana Maria 7-6 (7-3) 6-3 before world number nine Sabalenka beat Andrea Petkovic 6-2 6-1 in just over an hour. The winners of that tie will face last year’s runners-up the United States or seven-time champions Australia after the competition’s two most successful nations ended the opening day with a 1-1 draw. Australian Open quarter-finalist Ashleigh Barty beat American Sofia Kenin 6-1 7-6 (7-2) before world number 17 Madison Keys defeated Kimberly Birrell 6-2 6-2 to pull the US level.